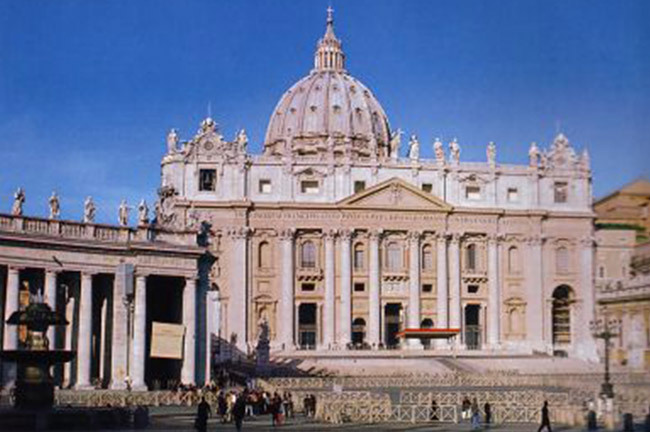 Also called the Holy See, the Vatican City is considered the ultimate destination by every Catholic pilgrim. It is easy to understand why, for it is where the head of the Roman Catholic Church can be found. While the city is somewhat small, measuring only around 110 acres in size, it is actually a sovereign state. Yet it is situated within its bigger sister, Rome. The Vatican is also patrolled and guarded by the “Helvetians,” or Pontifical Swiss Guard. Most of the city is off-limits to the general populace as well as to tourists, but this does not mean that visitors cannot experience a wealth of attractions and sights here. With its easy-to-navigate size, a single day in this holy city will reward you with the sight of all its architectural and art gems. No wonder enthusiasts from different parts of the world flock here just to see them. Whether you are a pilgrim, an architecture buff, an art historian, or a simple tourist out to see the world, the Vatican is one place you should not miss. 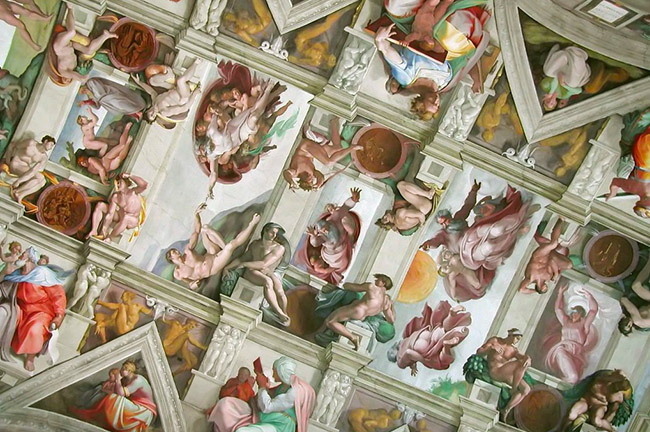 Found inside the official residence of the Pope, the Sistine Chapel is an excellent example of Renaissance architecture, and houses numerous creations by some of the most renowned artists in history. Worth more than just a precursory glance, the paintings you can see here include works by a veritable who’s who of Renaissance art—Matteo da Lecce, Botticelli, Roselli, Ghirlandaio, and Hendrick van den Broeck. The Cappella Sistina is also where you will find two of Michelangelo’s most popular and important pieces – The Last Judgement and The Creation of Adam. Found on the ceiling of the chapel, it was said that The Creation of Adam was added by this famed artist in 1508-1512. The Last Judgement, which is found on the altar wall, was created between 1535 and 1541. Considered one of the largest churches in the world, fans of Renaissance architecture should not miss this glorious Catholic shrine. 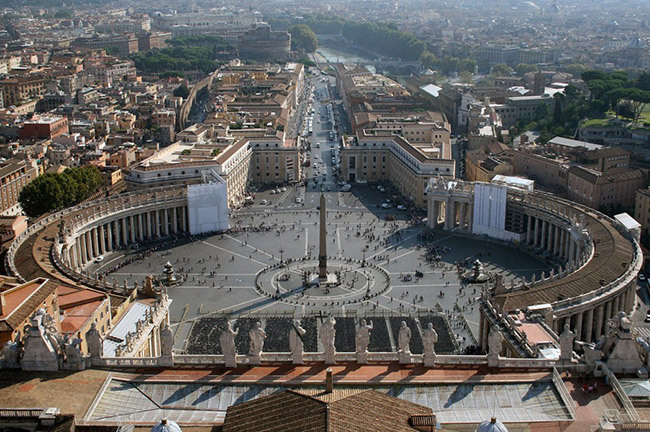 It was named after the church’s first pope, whose remains are interred here: Saint Peter. Designed by some of the era’s most famous names in art and architecture—namely Bernini, Maderno, Michelangelo, and Bramante—the Basilica of St. Peter is a work of art as it is a magnificent example of church architecture. Michelangelo’s Pieta can be also found inside. Your visit to this sovereign state should not focus entirely on the artwork in the churches and museums here. There are activities that you can participate in, like Sunday masses in St. Peter’s Square delivered by the Pope in the Basilica. The crowded plaza, which is found in front of the St. Peter’s Basilica, has an Egyptian obelisk right in the middle of it, and enormous Tuscan colonnades for you to admire. 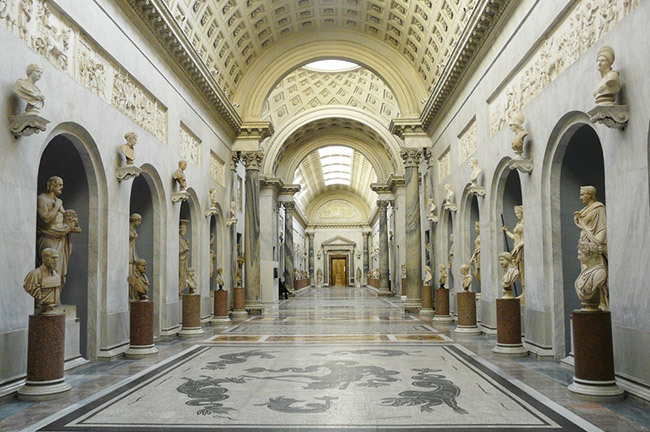 Also worth visiting are the Vatican Museums, which house numerous works of art from famed artists such as Leonardo da Vinci, Carvaggio, Perugino, and Raphael. Said to have been collected over time by the Popes in the many years that the Vatican has been around, you will find a wealth of masterpieces and classical sculptures here. It is also where you will find a collection of historical Papal letters, old manuscripts, and various forms of religious artifacts.